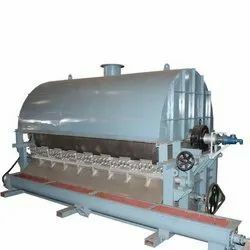 Description: Rotary Vacuum Drier work on the principle of drying liquid extracts of water base or solvent base by continuous mixing and agitation under vacuum. The perfection in engineering design will even help in scraping the thin film of dried material in case of requirment. It is been designed as per IS2825, ASME SEC VII. Vacuum drying using Roto Cone Vacuum Dryer (RCVD) is preferred for easily oxdised volatile materials which cannot resist high temperature as RCVD integrates during operation under vacuum. We offer different drying systems based upon the raw material to be dried and quantity. Matching up with the requirements of our clients, we are involved in offering Rotary Drum Dryer. - Rotary dryers are made from 100 Lts. to 2000 Lts. 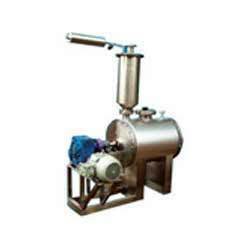 - Rotary dryers can be provided with Mechanical Seals.